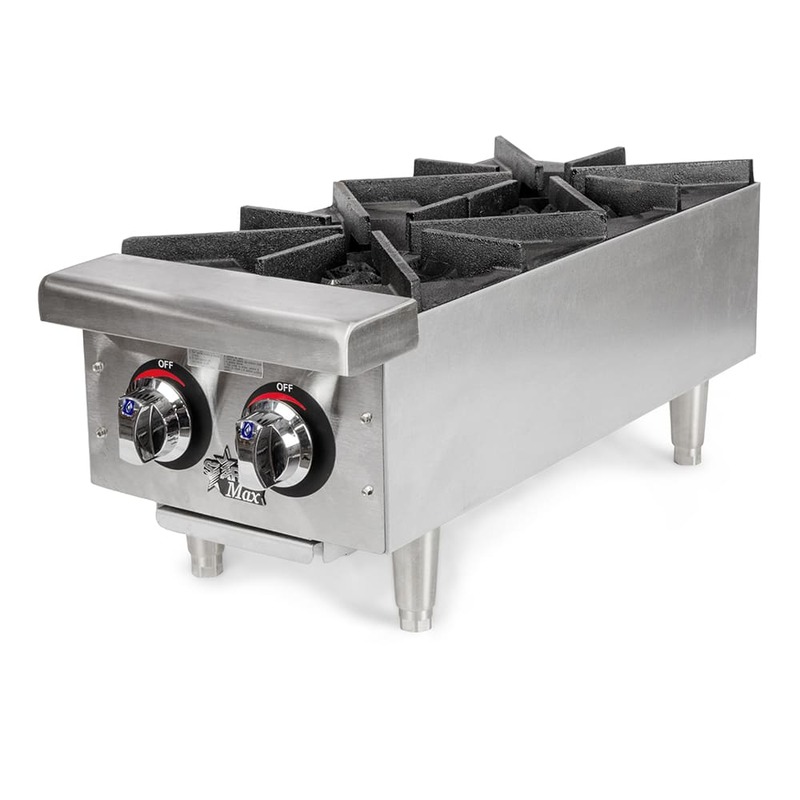 The Star 602HF Star-Max® hotplate has two cast iron burners and grates made of cast iron for heavy use. A precise and responsive on/off valve controls the temperature. The unit's heavy-duty knobs are durable for high-volume use, and the front panel is made of stainless steel to provide strength, corrosion resistance, and quick cleanup. Its crumb tray can be removed for cleaning. 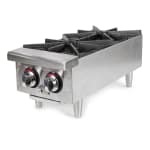 A bull-nose front on this Star 602HF Star-Max hotplate protects the user from burns while also protecting the knobs from chips and scratches. The unit stands on adjustable legs, so it can stay upright on uneven surfaces. With the provided conversion kit, this unit can operate with natural gas or LP gas. 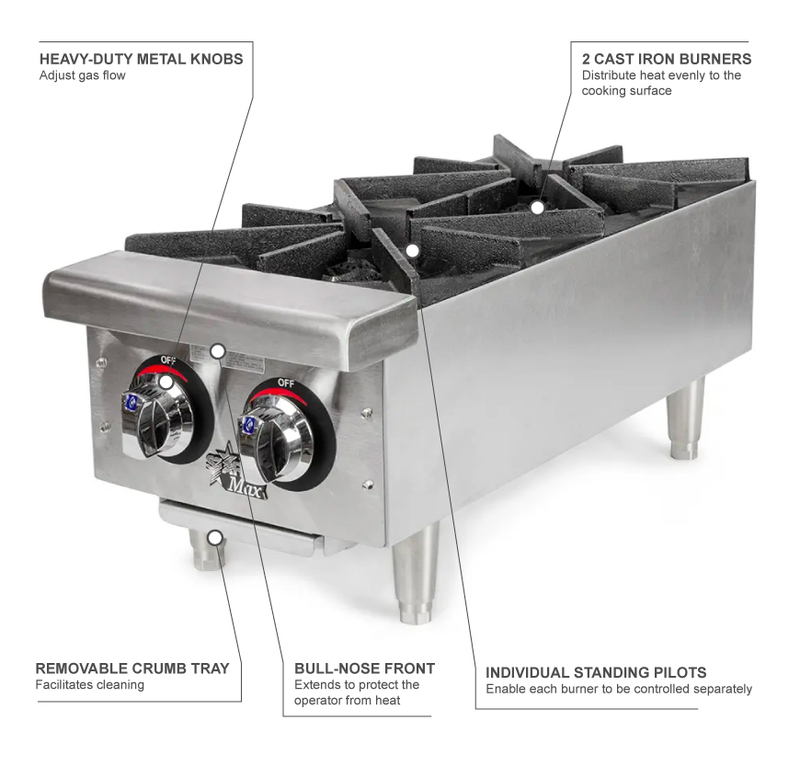 Our countertop equipment buyers' guide provides additional information on hot plates, as well as other countertop cooking equipment.